Chip, Pitch or Putt, what is your call? A while back, I wrote an article about a situation where the ball was on the fringe and I was left with a choice to chip or putt. There was many opinions and for the most part, choosing between putting or chipping was about 50/50. Recently, I asked the same question without the picture and the response was different. I am not sure whether it was because the picture was not present, but the 25% increase for players wanting to putt was not really surprising. Apart from the qualifying remarks such as: is the ball above the hole, is there a mound between the ball and the hole, what time of day is it, is the green freshly cut or how am I playing, most amateurs seem to agree that putting the ball when possible is the best option. I generally agree, however it is important to have other shots in your bag for those times when either chipping, pitching or putting is required. My years of experience have taught me that relying on just one type of shot is not conducive to consistent low scores. As someone who likes to always move forward, I like trying new methods to lower my score. My constant pursuit for improvement does not always meet my overall expectations. Have you ever heard the saying ‘3 steps forward, 2 steps back’? That is what happened to me when I decided to putt more from the fringe. I focused all my attention on the flat stick and as a result, my chipping and pitching started to atrophy. Although I had developed a new skill by putting more often, I lost my touch with my chipping and putting irons. Fortunately, with a little practice, my “feel” returned and now I have 3 solid types of shots when the ball is on the fringe. I am happy now at the end of the journey, but during the transition, I found it frustrating and sometimes wondered if I was on the right path. Generally, when the a player is developing a new skill, there is a point of frustration when the new skill is not meeting expectations and their old skills are starting to rust. It is usually at this time when players stop learning the new skill and revert back to their old ways. As a result, the player concludes that the new skill is not worth the effort. Golf is a challenging sport. It provides the opportunity for a player to be as good as they want. I believe that being a great golfer, we amateurs must find our own path to success. What works for me, may not work for you. I also believe that being a grateful golfer we need to keep trying to improve and be thankful for the journey to lower golf scores. How do you handle learning a new skill? How much practice time do you devote to it? Good post. I agree with your comment about relying on just one type of shot isn’t conducive to lowering scores. I’ve learned that with myself, particularly in the spring when my chipping feels rusty, I’d go to the putter off the green more often. Interestingly enough, I found that if I got in that habit it hurt the confidence of my chipping, since I started “avoiding” chipping too often. I’ve since worked hard on my chipping and am not afraid to grab a wedge from anywhere close to the green if the shot calls for it. I do like putting off the fringe, but if there is too much fringe to go through, or the fringe is shaggy, it feels like a lot of guessing and I’d rather hit a little chip or pitch shot. You got it! Having a well rounded short game will only produce positive results! Your point that confidence is gained through usage is very true. Something we all must remember! Jim, great topic and great question! I would guess different players implement new skills at different paces. Personally, I will practice a new skill and generally play three rounds before I feel it’s game ready. So playing one round per week on average, if I start learning a skill, I’ll have it game ready in three weeks of practice, but that depends on how much I practice it. For example, this summer, I wanted to learn to hit a low running check with my sand wedge from maybe 3-15 yards off the green. I spent a couple hours learning the shot one morning until I could repeat. But I never continued to practice the shot and therefore never tried it during a round. You gotta be persistent with your practice and cannot fear flubbing it right after you submit it to game pressure. As you mention, that “two steps back” is tough to deal with when you are always trying your best to score. Great response. I agree with your comment of not letting fear encroach on your game. For me, if I start practicing it, I tend to over use it in my game for the first few rounds. That is not necessarily beneficial for the short term scores. Continuing to learn and grow is one of the reasons I love this game. 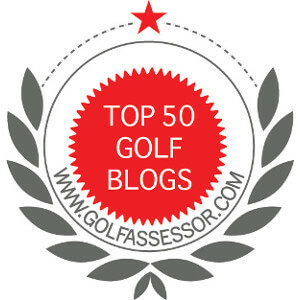 Hi Jim – it’s a challenge for me now simply with time/priorities to even entertain learning a new skill with golf. If I had to choose and commit to a “program”, I’d focus on short game. Why? I’d have time to actually practice. 45 minutes spent on the green back to 30 yards I’m sure would be fruitful! What’s the stat – 21 days of consistent practice to make a change in physical skill? Thanks very much. Yup 21 days or 10000 strokes which every comes first. I agree committing to improving our short game is the place I need to focus for sure….is it spring yet!